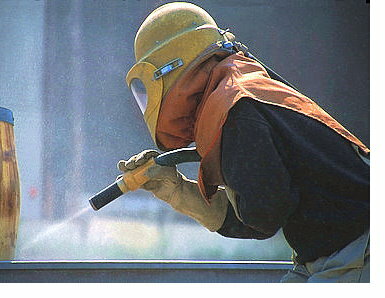 We use sandblasting special booths for only one type of material. This prevents contamination of the material surface by other materials. We meet the quality requirements of the automotive and aerospace industries. For new materials the existing number of cabins will be expanded as required. We also specialize in plastic and CFRP components for adhesive preparation and surface treatment. If you have questions about the quality and application of our sandblasting technology - we would be pleased to answer your questions.